As I mentioned in my first post on this blog, we are in the process of going sugar-free. I will tell you more about this in a future post, but in the meantime I want to share with you a healthy sugar-free recipe that I discovered last week, written down by me on a piece of paper (can’t remember when or from where). My husband loves Bounty chocolate bars, but they are very high in sugars: 48.2% sugars, meaning, as per their ingredients list, sugar, glucose syrup and lactose. 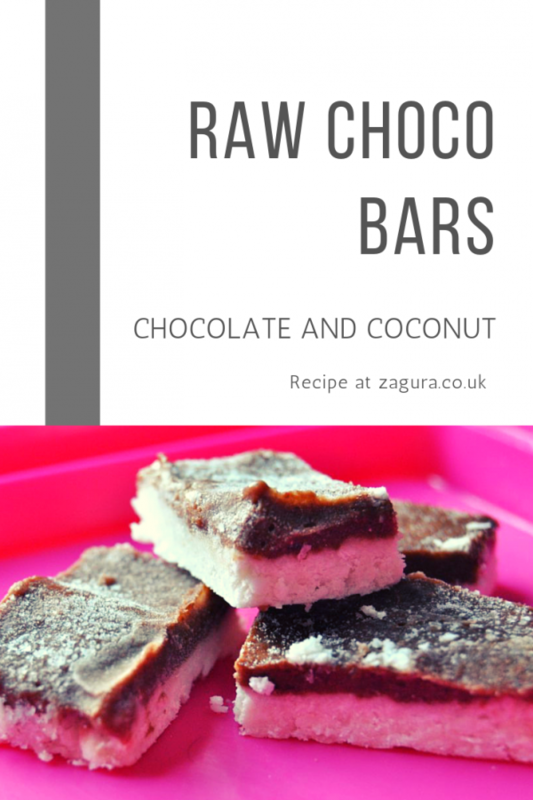 Therefore I was more than happy when I found this recipe in a long forgotten notebook as this meant we could still enjoy the coconut and chocolate bars in a healthy version and we could also share them with our kids. In addition, I could use the cashew pulp that is left after I making cashew milk for the morning smoothies. So I have 3 reasons to love this recipe! 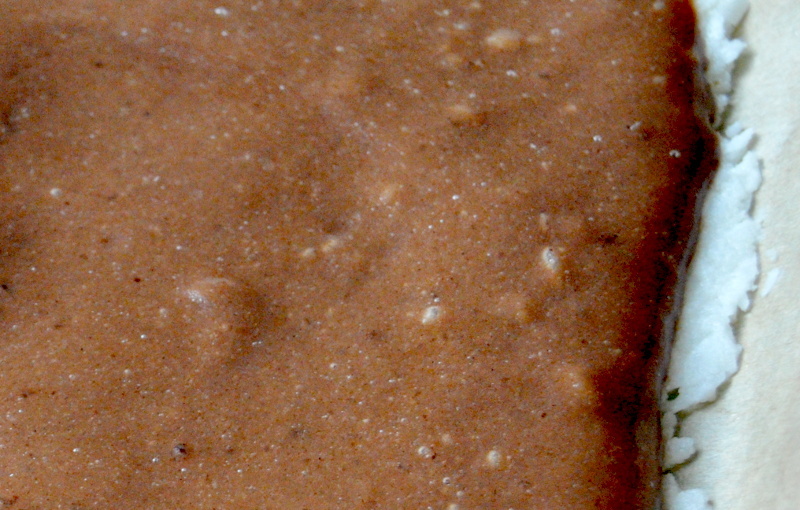 I usually soak the cashew overnight, blend them with water in the morning and after filtering to obtain cashew milk, I use the pulp for these bars: combine the 4 ingredients written above and mix them in a food processor. When you try this recipe, I’d love to hear your impressions about it! Hi and good to find you on this new “home” :)! Nice to see you in my new “home”! And thanks for the recipe, it sounds really yummy and easy to make, I will give it a try tomorrow morning as I am planning a smoothie with almond milk for a change (kept using the cashew one as we really love these chocolate bars)!